The San Diego Opera’s first free lunchtime concert for the 2018/2019 season will be at the end of this month. 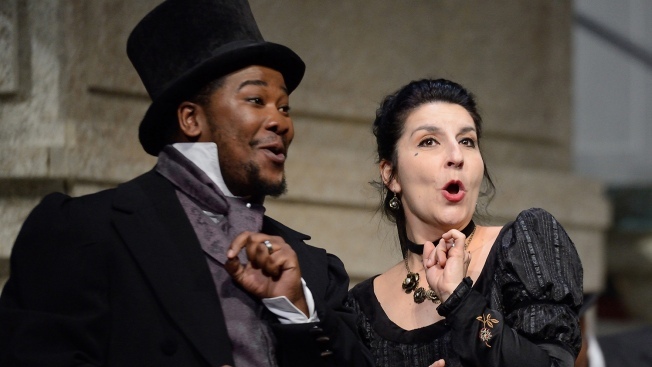 Artists from “The Marriage of Figaro” will perform selections from the comic opera Thursday, Oct. 25 at 12 p.m.
“The Marriage of Figaro” is about a servant, Figaro, who thwarts his master’s lecherous advances on his fiancée. It was written by Mozart in 1786 and is one of the most famous operas in history. Since 2015, Opera on the Concourse is held three times each season outside of the San Diego Civic Theatre and the performances often attract more than 300 spectators. San Diego Opera will also hold two other lunchtime performances starting next February. There will be a “Rigoletto” performance on Feb. 7 at 12 p.m. and a performance of excerpts from “Carmen” on April 4 at 12 p.m. as well. Funding for the program is provided in part by The County of San Diego Community Enhancement Program and the Ellen Browning Scripps Foundation.